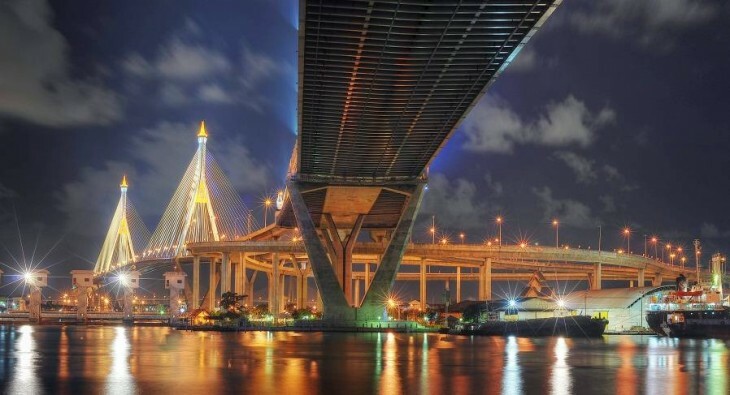 Situated in Southeast Asia, a section of the continent that is rich in natural resources, Thailand attracts investors and travelers en mass every year. The cheap living costs make it the perfect place to bootstrap and the investment culture is truly blossoming. Adding to these attractive foreign entrepreneurism qualities is the fact that Thailand is also a great place to live for foreigners. It has an excellent work and life balance, along with income and price level ratio. A large part of the crowd at the co-working spaces are comprised of expats. Most are digital nomads, bootstrappers, living anywhere and working everywhere – type of people. They find the space very comfortable. Lots of them are from the US, Europe, and others hail from Israel, Japan and South Korea. Taking all these factors together, it’s no wonder the startup scene in Thailand is exploding right now. Several Series B investments are currently underway, including the much publicized HotelQuickly. This is a first for entrepreneurs in Bangkok and shows how far the ecosystem has come. Two years ago, a lot of individuals had aspirations to start companies, but not many jumped into it. Today, you see that there are a lot of talented, smart engineers who are starting up companies with great business models in place, and have the potential to fare very well. AIS, the largest telecommunications player in the market, has opened up a venture arm and is looking at backing startups. Some of the Thai startups that we meet are expanding to other Southeast Asian markets like Indonesia and the Philippines. The risk-averse mindset is quickly changing. Thai startups are actually talking expansion and discussions of scale are becoming more commonplace. The majority of the population only have internet access over their cell phone. Necessity is the mother of invention, so mobile commerce is really becoming a big topic in Thailand. With the strong social network tie-in, Thailand may be the future trend leader in mobile apps and content sharing. Angel investors – are there any? Unfortunately, we don’t see much of that in the Thai ecosystem yet. The truth is, most of the funds for this region come from overseas in Singapore from VC’s headquartered in Japan. So if you are in Southeast Asia, and you want to raise Series A or Series B, you need to be talking to Japanese VCs who are looking at investing in Southeast Asia, and who maintain satellite offices in Singapore. Builk – Crowd-sourcing construction data on FREE SaaS that helps builders save money. Builk.com is a professional social network connecting construction professionals through their business activities e.g. budgeting, job costing, purchasing, invoicing and site collaboration. Construction companies work for FREE and connect to their suppliers, designers and customers easier. 2C2P – Universal electronic payments. Payment card processing with best-in-class payment routing, fraud management and business intelligence. Alternative payment options (off-line, over-the-counter, or through online direct debit) to empower consumers beyond payment cards and integrating with existing payment alternatives. Computerlogy – Social media monitoring tool. Computerlogy’s ‘SocialEnable’ is a powerful social media management tool which allows users to manage various social media channels such as Facebook Fanpage, Twitter, Google+, Instagram and Pantip (Top website in Thailand) from one application. This application contains campaign management and measurement features to let an enterprise go beyond social media marketing with Social CRM. Eko – Enterprise mobile productivity communications platform. Eko, with close collaboration of leading Asia-Pacific business executives, has designed and built a mobile oriented, real-time work communications tool. It provides workforces with a secure, simple, productive, and powerful communications tool. In short, corporate messaging for the smartphone era. TalentEx – Social recruiting in ASEAN. JobTalents is an online job platform with free-to-post / Pay-per-hire model, online screening testing feature and social recommendation between job-seekers. It is certainly a good decision to set up a new start-up in Thailand. The regulatory environment is pretty good and ranked 18th in the world for doing business. The expenses are very low and there is a lot of talent in Thailand that is just waiting to be leveraged. The kind of teamwork and spirit that you see among startups in Thailand is commendable. I think Thailand has a lot to teach the rest of the world in this regard.